Northern Ireland took over the Barclays Center on Saturday night to lift their countryman Carl ”The Jackal” Frampton to an upset win over Leo ”El Terremoto” Santa Cruz. Frampton and Santa Cruz engaged in a 12 round shootout as the Mexican and Irish contingent cheered on, creating a lively atmosphere in the Brooklyn arena. From the sound of the first bell, Santa Cruz rushed Frampton as he tried to apply the pressure and push the Irishman out of his comfort zone. However, Frampton did an excellent job of measuring Santa Cruz with a strong jab and used effective footwork to not get trapped against the ropes. In the second, Santa Cruz managed to draw Frampton into an exchange but the Irish fighter got the best of it as he staggered his opponent with a hard left hook. Santa Cruz fought back but The Jackal was steadily asserting his pace and control of the fight. Calm and collected, Frampton showed great ring generalship, countering the Mexican-American when he lunged in, dramatically lowering the vaunted punch output of his opponent. On the inside, Santa Cruz’s long limbs widely missed their marks while Frampton was able to connect with the shorter and more accurate shots. 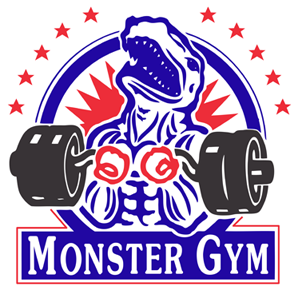 At the halfway mark, ”El Terremoto,” demonstrated his machine-like stamina as he kept applying the pressure and tried to roar back for the second half of the fight. 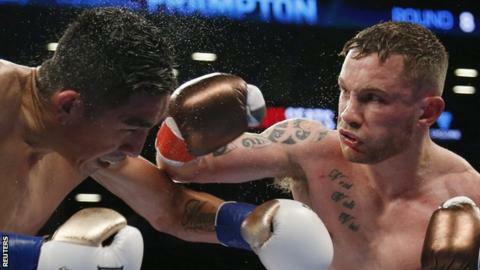 As Santa Cruz closed in, Frampton stood his ground and fired back, resulting in a savage exchange in the sixth round. Just when there was a shift in momentum, Frampton quickly took the play away from Santa Cruz and fought the fight he wanted, once again controlling the ring and the pace of the bout. 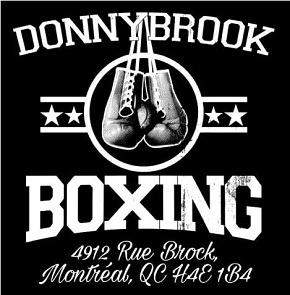 Both fighters entered the championship rounds with a sense of urgency as the scoring was too close call. 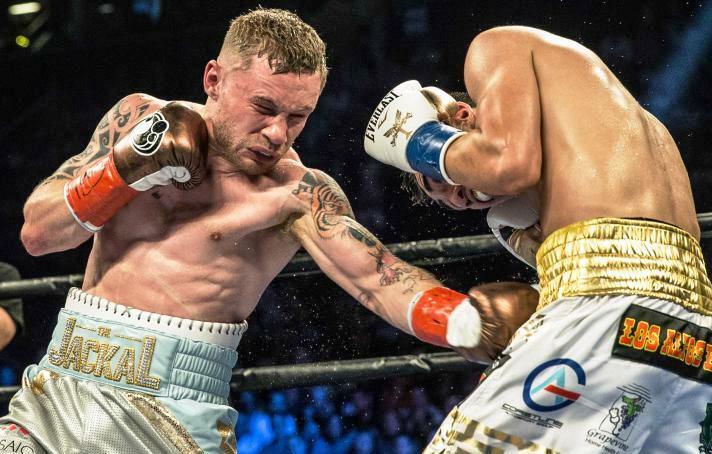 Laying it all on the line, Santa Cruz and Frampton landed with success in brutal exchanges to close out a definite Fight of the Year contender. After the final bell, the judge’s scorecards read 114-114, 116-112, and 117-111, giving the majority decision to the new WBA featherweight champion Carl Frampton. It’s a major setback for Santa Cruz but he should hold his head high as he gave it his all, only to lose to the better fighter. As he mentioned during the post-fight interview, he’s ready for a rematch whether it takes place in his home state of California or if he has to travel to Belfast to reclaim his belt. 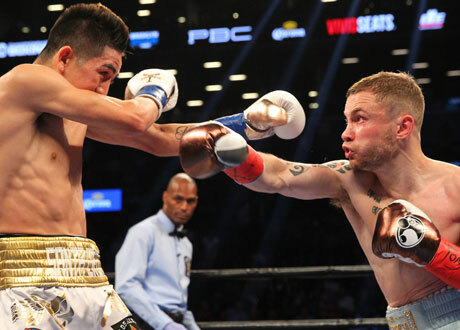 Frampton journeyed to Brooklyn and managed to get the hard-earned victory, becoming the pride of Northern Ireland. A number of possibilities are now available for “The Jackal” at 126 lbs, if it’s not a rematch with Santa Cruz. Two other featherweight titleholders were sitting ringside as countryman Lee Selby and WBC champion Gary Russell Jr hope to get a crack at the newly crowned champion. 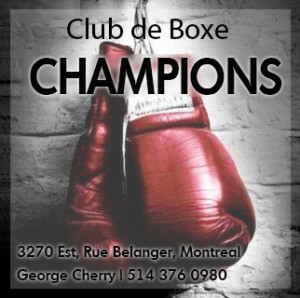 Another name that wasn’t brought up during the Showtime telecast but remains a possibility is boxing virtuoso Guillermo Rigondeaux, who was quick to call out Frampton on social media.